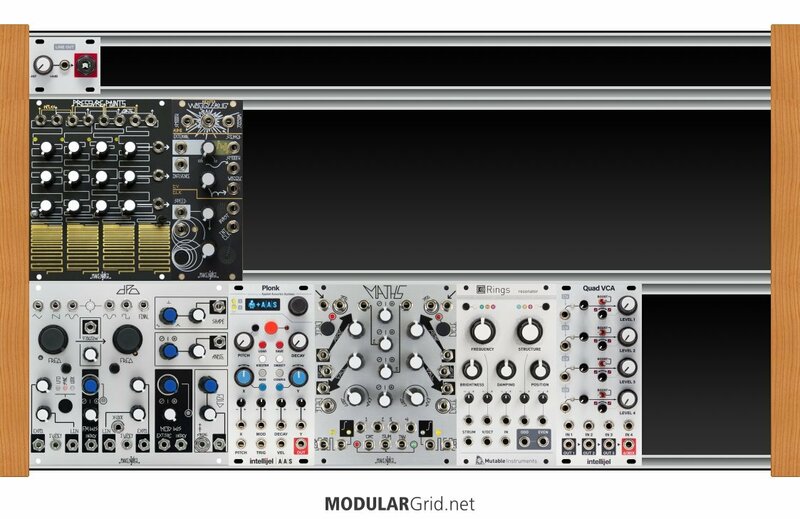 Was wondering if i can get some guidance here to building my first rack - leaning towards West Coast but also hoping to have some flexibility on East Coast. Hoping to achieve Buchla inspired sounds but again, hoping this set up has flexibility for regular East Coast style as well. 1) Am I in the right direction of building my first rack (with room for expansion)? 3) Hoping to achieve 2-3 voices in this set up. Does my modules support this? 5) Erica Synths Pico Out - is this necessary when i already have the Intellijel 1u headphone and stereo output ? 10) Befaco A*B+C - is this necessary? Your advise will be greatly appreciated! Its a costly purchase and i'd like to be super sure of what im buying :) Hope to hear some feedbacks soon! Well, to start with, if you're trying to implement something of a dual functionality, this is probably going to be too small. A better suggestion for a first rack is to start off too big, then pare the resulting mess down to the scale you're shooting for. Secondly, you probably should go back and examine iconic synths of both types. For example, if you examine a Buchla Music Easel, then compare and contrast that with a Minimoog, you're going to notice the similarities and differences much better than trying to keep track of "school of thought A" versus "school of thought B". That's simply too abstract, especially at the points where those two directions overlap (such as sequencing). Yes, it's a costly purchase. Which is why you need to put some hard work and forethought into this, rather than simply trying to dash off a final result in the first try (which never, EVER works!). It's also something you're apt to be living and working with for at least a decade, given both the cost and the capabilities of a well-thought-out modular. It might seem like this is an easy off-the-rack sort of purchase decision...but it's actually anything but that. You should even be considering whether or not a modular synthesizer is even necessary; generally, those who make the best use of them are musicians who've exhausted the majority of other synthesis paradigms and who need the open architecture in order to keep pace with what's in their imaginations. It isn't a "you gotta have one!!! "-sort of device; thinking that way about building a system and then purchasing the result will likely end with your system up on Reverb or eBay in a year's time or so. So, instead of buying a pile of trouble...take the time to research, consider, and rethink, and then do all of that again and again. Lather, rinse, repeat. Eventually you'll arrive at something that you really know is what you should buy, instead of trying to get permission for blowing money from others.